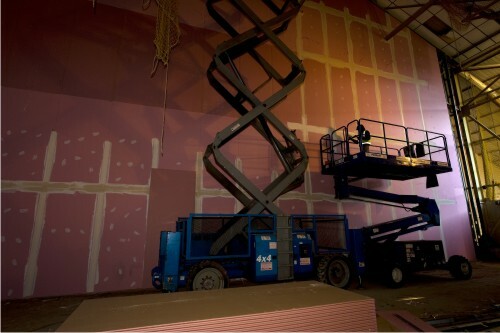 kiwi design supported Manchester Airports with the refurbishment of three Aircraft Hangars at Bournemouth International Airport, installing new walls in time for a new tenant occupation. 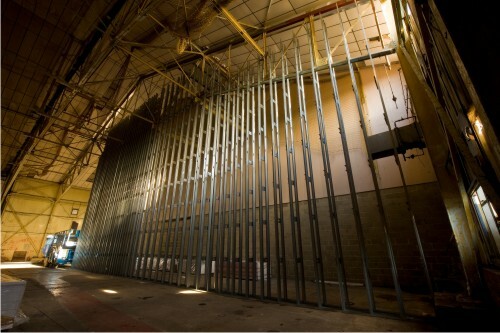 DUE TO THE SCALE OF THE PARTITION, IT WAS A VERY TESTING INSTALLATION BUT WAS MANAGED SUCCESSFULLY. The construction of these walls was very precise; the width was specified, the walls had to be struturally independent and need to have a 2 hour fire rating. 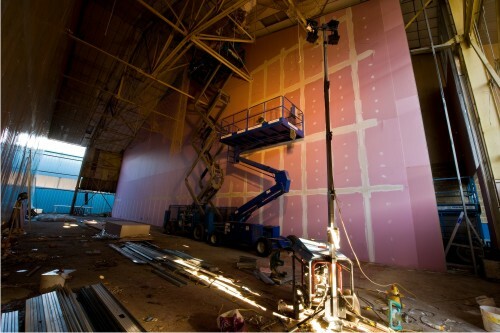 The team had to be flexible, building walls up to 17 metres high, and efficient due to a narrow construction window. Due to the height, the stud had to be assembled on the floor and then lifted into position.